Digitize.AI, a leading independent Artificial Intelligence (A.I.) firm and the creator of “systems of intelligence” for faster and smarter prior authorizations and utilization management, announced a solutions showcase and demo series for finance and technology leaders at the HIMSS19 conference in Orlando, FL. Digitize.AI introduced its marquee solutions—“Lia” (the “A.I. teammate” for providers) and “Mia” (the “A.I. gold card” for healthplans)—to the healthcare industry in 2018. 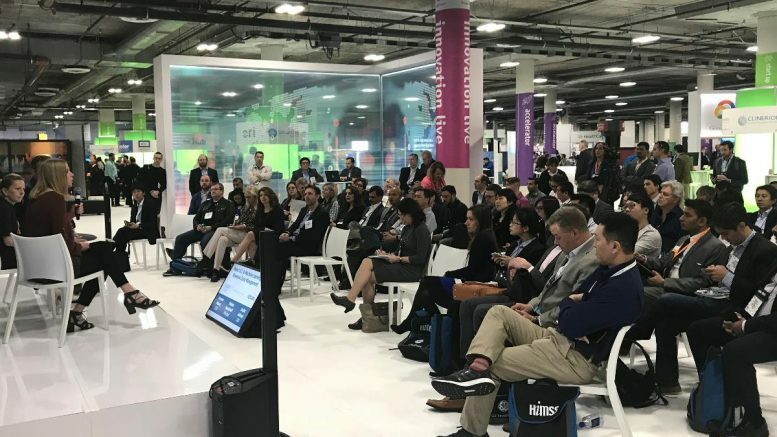 As adoption of these solutions grows, Digitize.AI’s co-founders see HIMSS19 as an opportunity to share what the team has learned in bringing A.I. to the revenue cycle, and to continue to learn from partners and customers about pressing challenges in this space. Case studies and interactive demos of the “Lia” and “Mia” solutions. Results of the Digitize.AI x HFMA Survey. At the 2019 HFMA Western Region Symposium, Digitize.AI co-founders Justin Adams and Pat Morrell hosted a breakout session, “How A.I. is taking the Pain out of Prior Auths.” Fifty revenue cycle leaders participated in an interactive survey during this session, and Digitize.AI will have executive summaries of those survey results available at HIMSS. The “A.I. Readiness Assessment” aka “AIRA.” This short, interactive digital assessment tool will be available on iPads at the Digitize.AI kiosk, and is designed to help CFOs and revenue cycle leaders confirm the viability of integrating A.I. solutions in their respective I.T. and workflow environments. A.I. Buying and Selling Guides. Many healthcare finance leaders want to take the first step with A.I. solutions, but don’t know how to build consensus internally and/or vet third party vendors. Digitize.AI has created platform-agnostic buying guides and checklists to help CFOs and RCM VPs navigate the buying journey—copies of these tools will be available for attendees. “We’re stoked to be part of the HIMSS sponsorship community for the second year in a row, and to share what our team has learned and accomplished over the past year. We look forward to the opportunity to reconnect with customers and partners and learn about the new challenges they face heading into the new year,” said Digitize.AI Co-Founder, Pat Morrell, on the company’s forthcoming programs and events at HIMSS19.